Every year, it's the same debate: Is Tim Burton's The Nightmare Before Christmas a movie you should watch on Halloween, or Christmas? On the one hand, like most Tim Burton projects, it has a mega-goth, Hot Topic vibe that feels more at home with the ghouls and ghosts of Halloween. (Its protagonist, after all, is a skeleton.) On the other hand, it's a classic saving-Christmas story, and "What's This?" is one of the best Christmas songs out there. The answer is simple: Watch it twice. Or split the difference and watch it on Thanksgiving, which is almost the exact midpoint between Christmas and Halloween. But how? 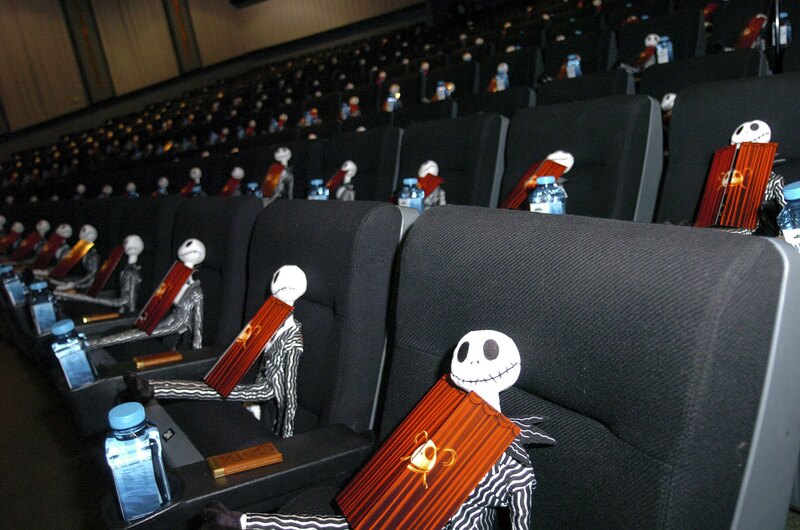 Where will The Nightmare Before Christmas be shown this year? Luckily, The Nightmare Before Christmas is not one of those movies that's hard to find when the holidays roll around. I guess enough people are into Jack, Sally, and — my favorite — Mr. Oogie Boogie that it's managed to crack into the canon of holiday staples. And why not? The stop-motion animation holds up, staying on par with the stop-motion movies coming out today (like The Boxtrolls — which you should definitely check out if you're into The Nightmare Before Christmas). Plus, besides being appropriate to watch during two holidays every year, it's got a soundtrack chock full of amazing Danny Elfman songs. Now that I've gotten you all pumped about it, here's where you can see The Nightmare Before Christmas this year. Sometimes, you just can't wait for TV to catch up to your whims. You want to watch it when you want to watch it. That's okay; according to CanIStream.it, The Nightmare Before Christmas is currently available to stream from Netflix. Only Netflix has it streaming, though; Amazon Prime and Hulu users are not so lucky. It's a less desirable option, because it costs more money, but if you're dying to watch the movie and don't have a Netflix account, you can rent it all over the place. Right now, iTunes, Google, VUDU, YouTube, and Target all have The Nightmare Before Christmas for digital rental. If paying $2.99 for a rental seems like a ripoff, for just a few dollars more and you can buy either a digital copy or a DVD. Because, face it, you're probably going to want to watch it again — twice — next year.